Despite my many junkfood/candy posts, I do eat pretty healthy. 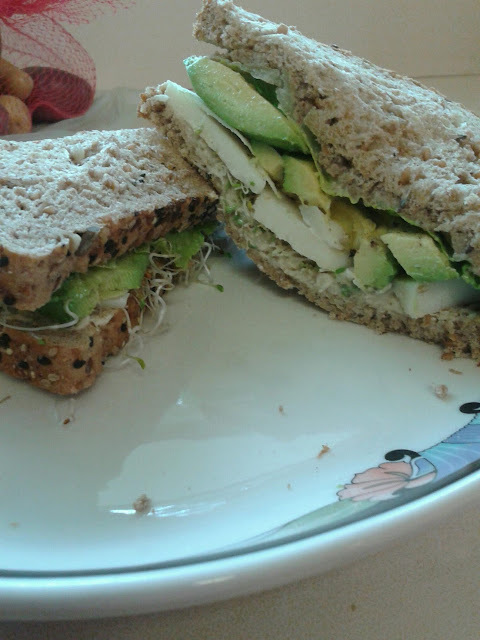 Just wanted to share this healthy sandwhich that not only tastes good, but is good for you and fills you up! Taking two slices of Dave's Killer Bread (which is much healthier than plain white bread and even wheat bread since it has seeds, whole grains, spelt and sprouted wheat) , spread one side of it with some hummus and spread the other side with some pecan butter. Add two slices of lettuce to it (romain lettuce hearts tastes the best, in my opinion, because they have a slight sweetness to them). Then add half an avocado to it, sliced, or mashed, however you like, and sprinkle some fresh cracked sea salt and pepper on top of it. Then add some sliced up goat cheese (in a monteray jack or cheddar form) and add some alfalfa sprouts (it may be hard to find some alfalfa sprouts in grocery stores now, so I had to use home grown ones..its really simple and takes no time!). After that, cut in half and enjoy with a healthy beverage! 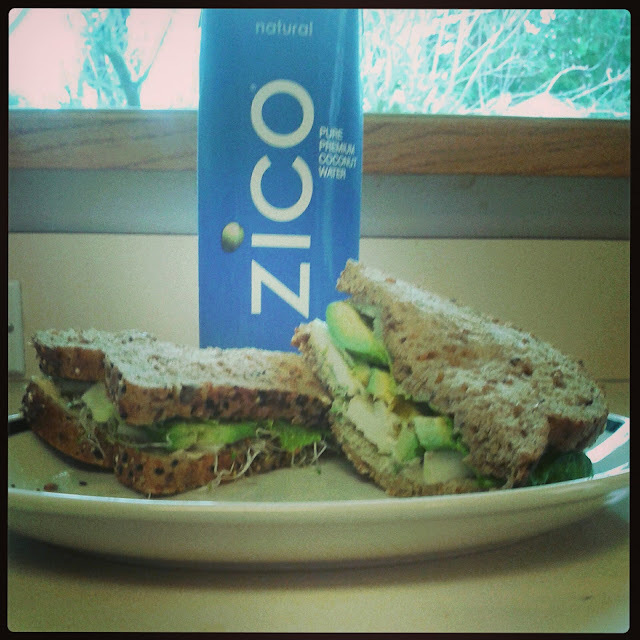 (I decided on Zico's coconut water since I didn't have an actual young coconut).